Special included with the Lupin 40th anniversary Blu-ray set. Lupin has invited all of his friends to a villa on a private island. It's the first time they've seen each other for the past five years. Lupin is planning a big surprise while they are all at the villa except Fujiko, Goemon and Jigen find Lupin's behavior to be unusual. They are also curious about who the man in the iron mask is, who is chained up to a wall for the reasons they are about to find out. Lupin Ikka Seizoroi is a ten minute long special that was on the 40th Anniversary blu-ray set. Despite being fairly short, it's quite enjoyable, and should hold a special place in any longtime Lupin fan's heart: it's the last piece that the original voice cast did together. The story, while minimal, is charming and does a wonderful job of illustrating each character. The art is fantastic. You can really appreciate the effort put into it, and the colors and scenes were close to breathtaking. The soundtrack is ever memorable, though nothing new. And of course, each member of the primary ensemble makes their appearance. Zenigata's parts are written with aplomb, and the man in the iron mask was a great touch that genuinely had me guessing until the end. While nothing extravagant, Lupin Ikka Seizoroi is endearing and a fully worthwhile addition to the Lupin franchise. Though it's hard to come by, if you have an opportunity to view this snippet, I'd recommend it. 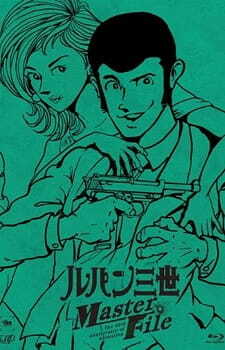 This is a short special (10 minutes long) straight from the first volume of the Lupin III: Most Wanted manga. You know how in the series or specials the characters will say, "oh, I haven't seen you in so long!" Well, that's the premise of this special...except that in the manga it was a marked break between the original and the Most Wanted series, and THIS story was the reintroduction to the characters. It translates well to anime! We've got the great voice cast and an updated animation style that should be used in ALL the specials. The story is typical, over the top Lupin, with a conclusion that's so cheesy and perfect that it just can't be any other way. The characters all demonstrate just who they are to the series...while at the same time reminding us that although we might love the gang working together, they don't always do it and have their own lives apart from Lupin's heists.